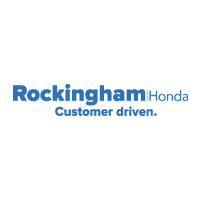 If you’re searching for used car dealerships near Salem, then take advantage of the extensive inventory available at Rockingham Honda. We want you to drive home in a used car you love and feel good about, which is why we thoroughly inspect each and every vehicle for quality. And because we want you to get a great used car deal as well, we offer plenty of used vehicle offers to further sweeten the deal. Our team will walk you through every step of the used-car-buying process – we’ll even be there for you after you leave the lot! Rely on our service department to maintain your used car, and feel free to contact us in the meantime with any questions about our inventory. 2015 Honda Civic EX Rallye Red Certified. Clean CARFAX. CARFAX One-Owner.FWD CVT 1.8L I4 SOHC 16V i-VTEC Factory Certified Pre-Owned Vehicle!, Certified By Carfax - No Accidents and One Owner!, Moonroof, Rear View Back-Up Camera, Bluetooth Hands Free Calling, MP3 - Ipod Compatible, Fully Serviced To Current Date And Mileage, Black w/Cloth Seat Trim, 160-Watt AM/FM/CD Audio System, 4-Wheel Disc Brakes, 6 Speakers, ABS brakes, Alloy wheels, AM/FM radio, Brake assist, CD player, Cloth Seat Trim, Electronic Stability Control, Exterior Parking Camera Rear, Four wheel independent suspension, Fully automatic headlights, MP3 decoder, Power moonroof, Radio data system, Remote keyless entry, Security system, Speed-sensing steering, Steering wheel mounted audio controls, Traction control.30/39 City/Highway MPGHonda Certified Pre-Owned Details:* Limited Warranty: 12 Month/12,000 Mile (whichever comes first) after new car warranty expires or from certified purchase date* 182 Point Inspection* Vehicle History* Roadside Assistance with Honda Care purchase* Transferable Warranty* Warranty Deductible: $0* Powertrain Limited Warranty: 84 Month/100,000 Mile (whichever comes first) from original in-service dateAwards:* 2015 IIHS Top Safety Pick * 2015 KBB.com Brand Image Awards2016 Kelley Blue Book Brand Image Awards are based on the Brand Watch(tm) study from Kelley Blue Book Market Intelligence. Award calculated among non-luxury shoppers. For more information, visit www.kbb.com. Kelley Blue Book is a registered trademark of Kelley Blue Book Co., Inc.
2016 Honda Civic LX Modern Steel Metallic Clean CARFAX. CARFAX One-Owner.FWD CVT 2.0L I4 DOHC 16V i-VTEC Certified By Carfax - No Accidents and One Owner!, Rear View Back-Up Camera, Bluetooth Hands Free Calling, Fully Serviced To Current Date And Mileage, Black/Gray w/Cloth Seat Trim, 16 Wheels w/Full Covers, 4 Speakers, 4-Wheel Disc Brakes, ABS brakes, AM/FM radio, Automatic temperature control, Brake assist, Electronic Stability Control, Exterior Parking Camera Rear, Four wheel independent suspension, Fully automatic headlights, Radio data system, Radio: 160-Watt AM/FM Audio System, Remote keyless entry, Security system, Speed-sensing steering, Steering wheel mounted audio controls, Traction control.Odometer is 2132 miles below market average! 31/41 City/Highway MPGAwards:* 2016 IIHS Top Safety Pick+ (When equipped with honda sensing) * NACTOY 2016 North American Car of the Year * 2016 KBB.com Brand Image Awards2016 Kelley Blue Book Brand Image Awards are based on the Brand Watch(tm) study from Kelley Blue Book Market Intelligence. Award calculated among non-luxury shoppers. For more information, visit www.kbb.com. Kelley Blue Book is a registered trademark of Kelley Blue Book Co., Inc.
2016 Honda Accord LX Modern Steel Metallic Clean CARFAX. CARFAX One-Owner.FWD CVT 2.4L I4 DOHC i-VTEC 16V Certified By Carfax - No Accidents and One Owner!, Local Trade In, Service Records Available, Rear View Back-Up Camera, Bluetooth Hands Free Calling, MP3 - Ipod Compatible, Fully Serviced To Current Date And Mileage, Gray w/Cloth Seat Trim, 16 Alloy Wheels, 160-Watt AM/FM/CD Audio System, 4 Speakers, 4-Wheel Disc Brakes, ABS brakes, AM/FM radio, Brake assist, CD player, Cloth Seat Trim, Delay-off headlights, Electronic Stability Control, Exterior Parking Camera Rear, Four wheel independent suspension, Front dual zone A/C, Fully automatic headlights, Radio data system, Remote keyless entry, Security system, Speed-sensing steering, Steering wheel mounted audio controls, Traction control.27/37 City/Highway MPGAwards:* ALG Residual Value Awards * 2016 KBB.com Brand Image Awards2016 Kelley Blue Book Brand Image Awards are based on the Brand Watch(tm) study from Kelley Blue Book Market Intelligence. Award calculated among non-luxury shoppers. For more information, visit www.kbb.com. Kelley Blue Book is a registered trademark of Kelley Blue Book Co., Inc.
2016 Honda Civic EX Cosmic Blue Metallic Certified. Clean CARFAX. CARFAX One-Owner.FWD CVT 2.0L I4 DOHC 16V i-VTEC Factory Certified Pre-Owned Vehicle!, Bought Here, Serviced Here, We Have All The Records!, Certified By Carfax - No Accidents and One Owner!, Moonroof, Rear View Back-Up Camera, Bluetooth Hands Free Calling, MP3 - Ipod Compatible, Apple Car Play, Fully Serviced To Current Date And Mileage, Black/Gray w/Cloth Seat Trim, 4-Wheel Disc Brakes, 8 Speakers, ABS brakes, Alloy wheels, AM/FM radio, Automatic temperature control, Brake assist, Cloth Seat Trim, Electronic Stability Control, Exterior Parking Camera Rear, Four wheel independent suspension, Fully automatic headlights, Power moonroof, Radio data system, Radio: 180-Watt AM/FM Audio System, Remote keyless entry, Security system, Speed-sensing steering, Steering wheel mounted audio controls, Traction control.31/41 City/Highway MPGCertification Program Details: 101 Multi-Point Safety Inspection. 1 Year/12,000 Mile Limited Engine/Power-Train Warranty Awards:* 2016 IIHS Top Safety Pick+ (When equipped with honda sensing) * NACTOY 2016 North American Car of the Year * 2016 KBB.com Brand Image Awards2016 Kelley Blue Book Brand Image Awards are based on the Brand Watch(tm) study from Kelley Blue Book Market Intelligence. Award calculated among non-luxury shoppers. For more information, visit www.kbb.com. Kelley Blue Book is a registered trademark of Kelley Blue Book Co., Inc. This vehicle has just arrived and is currently undergoing our rigorous reconditioning process! Every vehicle we sell needs to meet our 101 certification specifications or the manufacturers factory certification specifications. Contact us for an update!2017 Honda Accord EX Crystal Black Pearl CARFAX One-Owner.FWD CVT 2.4L I4 DOHC i-VTEC 16V Local Trade In, Service Records Available, Moonroof, Rear View Back-Up Camera, Bluetooth Hands Free Calling, Apple Car Play, Fully Serviced To Current Date And Mileage, Black w/Cloth Seat Trim, 17 Alloy Wheels, 4-Wheel Disc Brakes, 6 Speakers, ABS brakes, AM/FM radio: SiriusXM, Automatic temperature control, Brake assist, CD player, Cloth Seat Trim, Electronic Stability Control, Exterior Parking Camera Rear, Four wheel independent suspension, Front dual zone A/C, Front fog lights, Fully automatic headlights, Power driver seat, Power moonroof, Radio data system, Radio: 160-Watt AM/FM/HD Audio System, Remote keyless entry, Security system, Speed-sensing steering, Steering wheel mounted audio controls.27/36 City/Highway MPGAwards:* 2017 IIHS Top Safety Pick+ (When equipped with Honda Sensing and specific headlights) * ALG Residual Value Awards * 2017 KBB.com Brand Image Awards * 2017 KBB.com 10 Most Awarded Brands2016 Kelley Blue Book Brand Image Awards are based on the Brand Watch(tm) study from Kelley Blue Book Market Intelligence. Award calculated among non-luxury shoppers. For more information, visit www.kbb.com. Kelley Blue Book is a registered trademark of Kelley Blue Book Co., Inc. This vehicle has just arrived and is currently undergoing our rigorous reconditioning process! Every vehicle we sell needs to meet our 101 certification specifications or the manufacturers factory certification specifications. Contact us for an update!2016 Honda Civic EX Modern Steel Metallic Certified. Clean CARFAX.FWD CVT 2.0L I4 DOHC 16V i-VTEC Factory Certified Pre-Owned Vehicle !, Certified By Carfax - No Accidents and One Owner!, Local Trade In, Service Records Available, Moonroof, Rear View Back-Up Camera, Bluetooth Hands Free Calling, Fully Serviced To Current Date And Mileage, Black/Gray w/Cloth Seat Trim, 4-Wheel Disc Brakes, 8 Speakers, ABS brakes, AM/FM radio, Automatic temperature control, Brake assist, Cloth Seat Trim, Electronic Stability Control, Exterior Parking Camera Rear, Four wheel independent suspension, Fully automatic headlights, Power moonroof, Radio data system, Radio: 180-Watt AM/FM Audio System, Remote keyless entry, Security system, Speed-sensing steering, Steering wheel mounted audio controls, Traction control.31/41 City/Highway MPGHonda Certified Pre-Owned Details:* Vehicle History* Powertrain Limited Warranty: 84 Month/100,000 Mile (whichever comes first) from original in-service date* Warranty Deductible: $0* Transferable Warranty* Roadside Assistance with Honda Care purchase* Limited Warranty: 12 Month/12,000 Mile (whichever comes first) after new car warranty expires or from certified purchase date* 182 Point InspectionAwards:* 2016 IIHS Top Safety Pick+ (When equipped with honda sensing) * NACTOY 2016 North American Car of the Year * 2016 KBB.com Brand Image Awards2016 Kelley Blue Book Brand Image Awards are based on the Brand Watch(tm) study from Kelley Blue Book Market Intelligence. Award calculated among non-luxury shoppers. For more information, visit www.kbb.com. Kelley Blue Book is a registered trademark of Kelley Blue Book Co., Inc.
2016 Honda Civic EX Lunar Silver Metallic Certified. Clean CARFAX. CARFAX One-Owner.FWD CVT 2.0L I4 DOHC 16V i-VTEC Factory Certified Pre-Owned Vehicle !, Certified By Carfax - No Accidents and One Owner!, Certified By Carfax - No Accidents!, Local Trade In, Service Records Available, Rear View Back-Up Camera, Back-up Warning Sensors, Bluetooth Hands Free Calling, MP3 - Ipod Compatible, Fully Serviced To Current Date And Mileage, Black/Gray w/Cloth Seat Trim, 4-Wheel Disc Brakes, 8 Speakers, ABS brakes, Alloy wheels, AM/FM radio, Automatic temperature control, Brake assist, Cloth Seat Trim, Electronic Stability Control, Exterior Parking Camera Rear, Four wheel independent suspension, Fully automatic headlights, Power moonroof, Radio data system, Radio: 180-Watt AM/FM Audio System, Remote keyless entry, Security system, Speed-sensing steering, Steering wheel mounted audio controls, Traction control.Odometer is 5932 miles below market average! 31/41 City/Highway MPGHonda Certified Pre-Owned Details:* Warranty Deductible: $0* Powertrain Limited Warranty: 84 Month/100,000 Mile (whichever comes first) from original in-service date* Roadside Assistance with Honda Care purchase* 182 Point Inspection* Transferable Warranty* Limited Warranty: 12 Month/12,000 Mile (whichever comes first) after new car warranty expires or from certified purchase date* Vehicle HistoryAwards:* 2016 IIHS Top Safety Pick+ (When equipped with honda sensing) * NACTOY 2016 North American Car of the Year * 2016 KBB.com Brand Image Awards2016 Kelley Blue Book Brand Image Awards are based on the Brand Watch(tm) study from Kelley Blue Book Market Intelligence. Award calculated among non-luxury shoppers. For more information, visit www.kbb.com. Kelley Blue Book is a registered trademark of Kelley Blue Book Co., Inc.
2017 Honda Civic EX-T Modern Steel Metallic Clean CARFAX. CARFAX One-Owner.FWD CVT 1.5L I-4 DI DOHC Turbocharged Certified By Carfax - No Accidents and One Owner!, Local Trade In, Service Records Available, Moonroof, Bluetooth Hands Free Calling, MP3 - Ipod Compatible, Apple Car Play, Fully Serviced To Current Date And Mileage, Black/Gray Cloth, 17 Alloy Wheels, 4-Wheel Disc Brakes, 8 Speakers, ABS brakes, AM/FM radio: SiriusXM, Automatic temperature control, Brake assist, Cloth Seat Trim, Electronic Stability Control, Exterior Parking Camera Rear, Four wheel independent suspension, Front dual zone A/C, Front fog lights, Fully automatic headlights, Heated front seats, Power moonroof, Radio data system, Radio: 180-Watt AM/FM/HD/SiriusXM Audio System, Remote keyless entry, Security system, Speed-sensing steering, Steering wheel mounted audio controls, Traction control.Awards:* 2017 IIHS Top Safety Pick (When equipped with Honda Sensing) * 2017 KBB.com Brand Image Awards * 2017 KBB.com 10 Most Awarded Brands2016 Kelley Blue Book Brand Image Awards are based on the Brand Watch(tm) study from Kelley Blue Book Market Intelligence. Award calculated among non-luxury shoppers. For more information, visit www.kbb.com. Kelley Blue Book is a registered trademark of Kelley Blue Book Co., Inc. This vehicle has just arrived and is currently undergoing our rigorous reconditioning process! Every vehicle we sell needs to meet our 101 certification specifications or the manufacturers factory certification specifications. Contact us for an update!2015 Honda Civic Si Crystal Black Pearl Certified. Clean CARFAX.FWD Close-Ratio 6-Speed Manual 2.4L I4 DOHC 16V i-VTEC Factory Certified Pre-Owned Vehicle !, Certified By Carfax - No Accidents and One Owner!, Local Trade In, Service Records Available, Moonroof, Rear View Back-Up Camera, Bluetooth Hands Free Calling, Fully Serviced To Current Date And Mileage, Black/Red w/Cloth Seat Trim, 4-Wheel Disc Brakes, 7 Speakers, ABS brakes, Alloy wheels, Brake assist, CD player, Cloth Seat Trim, Electronic Stability Control, Exterior Parking Camera Rear, Four wheel independent suspension, Front fog lights, Fully automatic headlights, MP3 decoder, Power moonroof, Radio data system, Remote keyless entry, Security system, Speed-sensing steering, Spoiler, Steering wheel mounted audio controls, Traction control.Odometer is 4956 miles below market average! 22/31 City/Highway MPGHonda Certified Pre-Owned Details:* Vehicle History* Powertrain Limited Warranty: 84 Month/100,000 Mile (whichever comes first) from original in-service date* Limited Warranty: 12 Month/12,000 Mile (whichever comes first) after new car warranty expires or from certified purchase date* 182 Point Inspection* Warranty Deductible: $0* Roadside Assistance with Honda Care purchase* Transferable WarrantyAwards:* 2015 KBB.com Brand Image Awards2016 Kelley Blue Book Brand Image Awards are based on the Brand Watch(tm) study from Kelley Blue Book Market Intelligence. Award calculated among non-luxury shoppers. For more information, visit www.kbb.com. Kelley Blue Book is a registered trademark of Kelley Blue Book Co., Inc.
2017 Honda Civic EX-T Cosmic Blue Metallic Certified. Clean CARFAX. CARFAX One-Owner.FWD CVT 1.5L I-4 DI DOHC Turbocharged Factory Certified Pre-Owned Vehicle!, Certified By Carfax - No Accidents and One Owner!, Service Records Available, Moonroof, Rear View Back-Up Camera, Bluetooth Hands Free Calling, MP3 - Ipod Compatible, Apple Car Play, Fully Serviced To Current Date And Mileage, Black/Ivory Cloth, 17 Alloy Wheels, 4-Wheel Disc Brakes, 8 Speakers, ABS brakes, AM/FM radio: SiriusXM, Brake assist, Cloth Seat Trim, Distance pacing cruise control: Adaptive Cruise Control with Low-Speed Follow, Electronic Stability Control, Four wheel independent suspension, Front dual zone A/C, Front fog lights, Fully automatic headlights, Heated front seats, Power moonroof, Radio data system, Radio: 180-Watt AM/FM/HD/SiriusXM Audio System, Remote keyless entry, Security system, Speed-sensing steering, Steering wheel mounted audio controls, Traction control.Odometer is 6130 miles below market average!Honda Certified Pre-Owned Details:* Transferable Warranty* Roadside Assistance with Honda Care purchase* Powertrain Limited Warranty: 84 Month/100,000 Mile (whichever comes first) from original in-service date* Vehicle History* 182 Point Inspection* Limited Warranty: 12 Month/12,000 Mile (whichever comes first) after new car warranty expires or from certified purchase date* Warranty Deductible: $0Awards:* 2017 IIHS Top Safety Pick (When equipped with Honda Sensing) * 2017 KBB.com Brand Image Awards * 2017 KBB.com 10 Most Awarded Brands2016 Kelley Blue Book Brand Image Awards are based on the Brand Watch(tm) study from Kelley Blue Book Market Intelligence. Award calculated among non-luxury shoppers. For more information, visit www.kbb.com. Kelley Blue Book is a registered trademark of Kelley Blue Book Co., Inc.